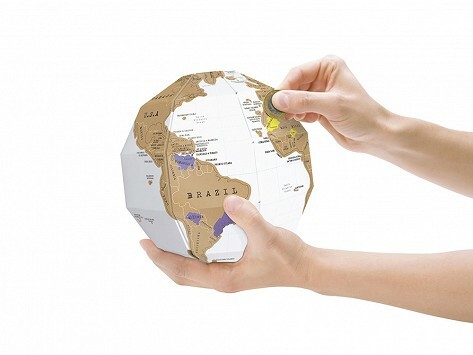 This gold foil-coated, three dimensional globe allows you to record where you’ve been on your travels. 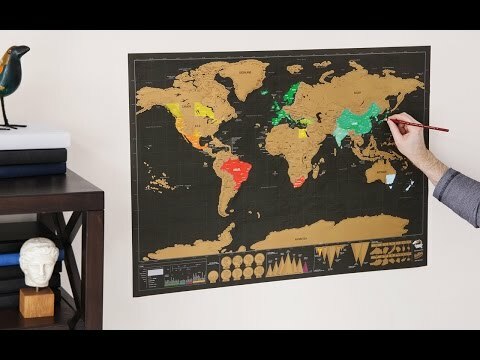 When you’ve revealed the country or continent you’ve been to, a rich and colorful map with geographical detail is revealed underneath. Dimensions: 7.9" x 7.9" x 7.9"
Liven up your room with these guaranteed conversation starters or consider one as a gift for a fellow traveler. Map your visits to places at home and abroad or decide where you might like to go next.